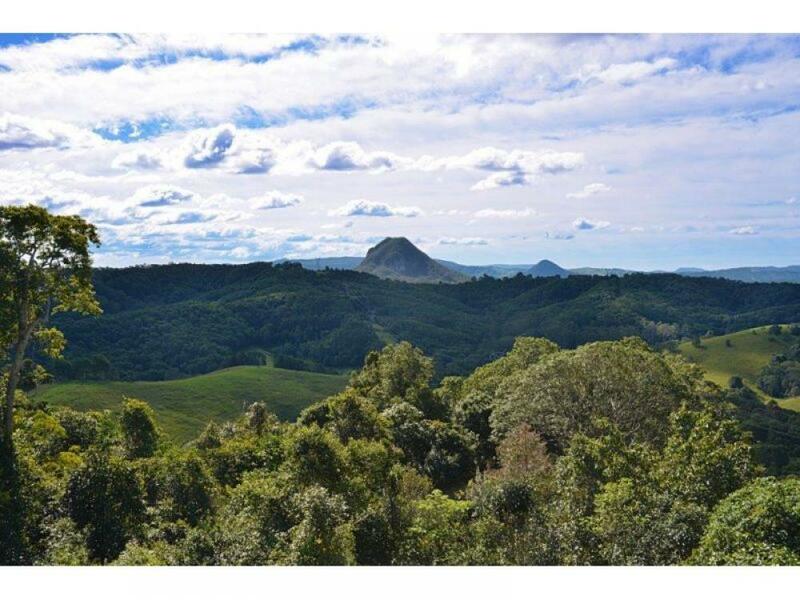 Unlike anything else on the market, oriented for privacy and views with natural bush surroundings, this wonderful property caters beautifully for work, life and family balance and represents very good buying in a premier Sunshine Coast hinterland location. A significant rural holding in this area, the 96-acre property has 4 homes with considered design, stylish and practical layouts, quality finishes and excellent amenity and views. Currently 3 of the dwellings are used for an established and well-regarded farm stay business with significant additional potential. The property has been developed to capitalise on views and aspect, landscaped terracing leads to walking trails and bitumen driveways ensure all weather 2WD access. Fenced for livestock with 6 paddocks and well-watered with access to the creek and 6 dams. With classic and timeless design, the homestead is low set and flooded with natural light. Three large living areas and a versatile layout ensure privacy for guests and all the flexibility a family could possibly want. Just 10 minutes to Cooroy and 30 minutes to Noosa with current pricing very market relevant this property has enormous potential to expand on the existing business model of pet friendly family accommodation. Current owners have elected to run the business as a part time venture but active approval exists with Council for the construction of an additional two dwellings and there has been historical enquiry for wedding venue and function bookings. The property is impacted by a high voltage power line easement and lines traverse the property, though at some distance from all dwellings. An inspection will support that they are of nominal concern and do not compromise the amenity of the property. After some time on the market, now with reduced pricing and sellers instruct it is listed for genuine sale with expectation for offers in the vicinity of $2,700,000. The property is offered inclusive of furniture, fixtures, fittings and equipment currently used to maintain the property in addition to existing livestock. Itemised schedules detailing same can be provided to interested parties. Please contact Kate Sargood on 0488 044 210 to make arrangements for your inspection.